Buddhists: Understanding Buddhism through the Lives of Practitioners provides a series of case studies of Asian and modern Western Buddhists, spanning history, gender, and class, whose lives are representative of the ways in which Buddhists throughout time have embodied the tradition. Todd Lewis is Professor in the Religious Studies Department at The College of the Holy Cross. He is one of the world's leading authorities on the social history of Buddhism. His most recent book, Sugata Saurabha: A Poem on the Life of the Buddha by Chittadhar Hridaya of Nepal, was awarded the Toshide Numata Book Prize for the best book in Buddhist Studies in 2010 and the Khyentse Foundation Award in 2012, for the best translation of a Buddhist text. In 2011, Professor Lewis was awarded a Guggenheim Fellowship. 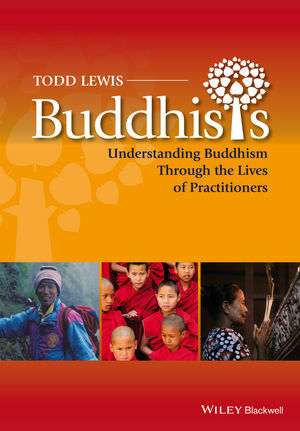 For an alternative table of contents that, for the purposes of teaching, arranges the biographies into the various schools of Buddhism, please go to www.wiley.com/go/lewisbuddhism.